You get the picture. Most of what we do isn't exactly writing. In fact, I can finish the writing piece of my day in about three hours and then spend the next four or five hours catching up on social media (now you see why Google+ gave me the groans). Except, I've been pleasantly surprised. Google+ is rapidly becoming my favorite on-line community. Here are the reasons I like it. 1. Circles: I love being able to highlight as many people as I want and then drag and drop them into a circle. It's an easy way to separate my close friends, family, people I know from the kid's school, book club, and the much larger public that I know professionally. The G+ circles address my least favorite thing about Facebook and Twitter. It gives me a quick way to control who sees what information. 2. Community: The G+ community is active and full of real people. Active, unlike Facebook, where some of my closest friends go for months without checking in. Full of real people, unlike Twitter, which seems to increasingly resemble my junk email account. 3. Balance: The folks at Google figured out a way to strike the right balance between the see-all, tell-all sometimes overly invasive world of Facebook and the limited sphere of Twitter. In some ways G+ mirrors a giant cocktail party where you can mingle with people, enter into a conversation but they don't have instant access to the pics of you on the beach in a bikini that your friend (hypothetically) posted on her Facebook wall. Those are my top three reasons at the moment. I'm sure you all will have more. Oh, and one last thing, I have a bunch of invitations to send out so if I've managed to sell you on Google+, let me know and an invite will be headed your way! I'm having an affair with G+ I love it so much. I mean, I won't marry it, because it's cheating on me with so many other people, but it's good for dinner (G+ cooking school!) and a movie (those little moving gifs running rampant on the site). absolutely, Rebecca! My only beef, so far, is everytime I see G+ I have a split second where I think it's some new movie rating. Uh-oh, does G+ mean it's okay for kids?? What does that mean...oh yeah, it's just Google. You connected to me and I added you in my writing circle. Google + is so much better than facebook. I like the circles for promoting authors. 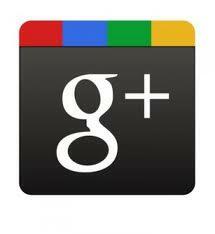 I'm liking Google + too and think it's great for networking, meeting other authors, and the likes! Great to *meet* you and I look forward to following your blog. 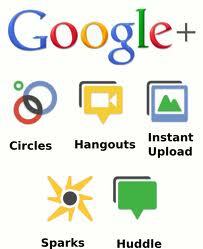 I haven't gotten the hang of google+ yet but it sounds like its quickly building in popularity. I can see why! Naida, with all the book reviewing and reading you do I can see why you might not have time for a new social media site! 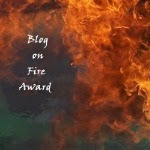 Jenny, thanks so much for following, looking forward to checking out your blog too. Katie, it took me a couple of hours for the initial start up. I'm sure there's lots I haven't figured out yet.